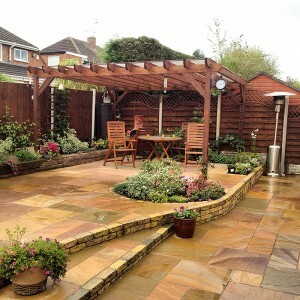 A patio is a great way to enhance and increase the value of your home and can provide the ideal entertainment area. At Perfect Ponds and Landscapes we provide bespoke designs and can introduce a number of features including the use of circles/brick edging, gravel border and feature areas along with varied laying plans. The use of curves and water features can also improve the look and feel of your patio. Whether you are looking for somewhere quiet and private to read in the sun or you want a social space for family gatherings with table and chairs, a barbecue or even a fire pit. 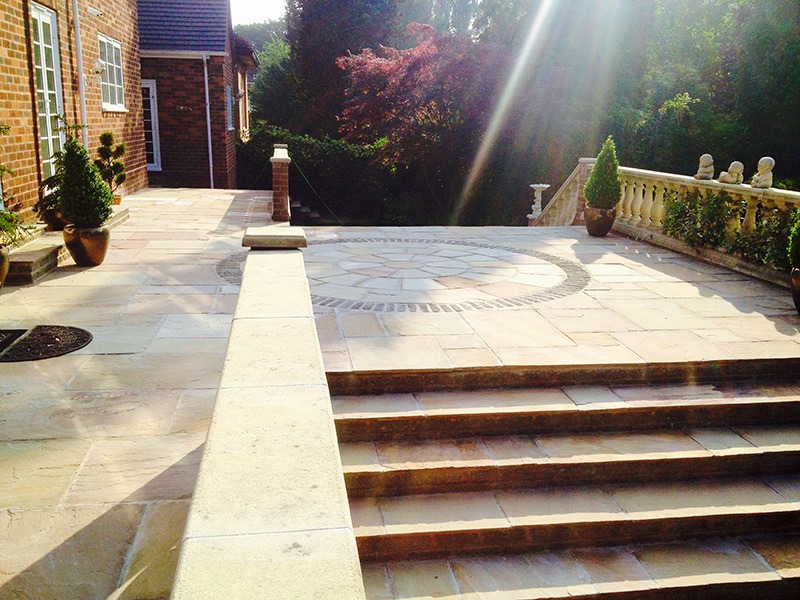 Whatever you want the patio for, keep it in mind, as it will affect the size and the design. 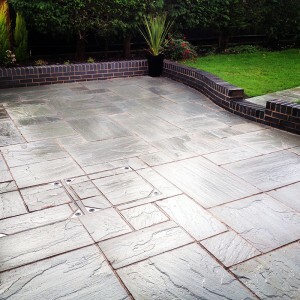 Contact us for your free Patio quote.